Ravenna Adelheid Z is a full sister of the NRPS stallion Rivaldo Adelheid Z. Sire Rival Z is a full brother of the well-known showjumping mare Rinnetou Z (Piet Raymakers). From a small number of services Rival Z produced, amongst others, the international showjumping horses Halifax de la Brique (Emile Hendrix) and Reve Blanc Z (Pieter-Martijn de Bruyn). 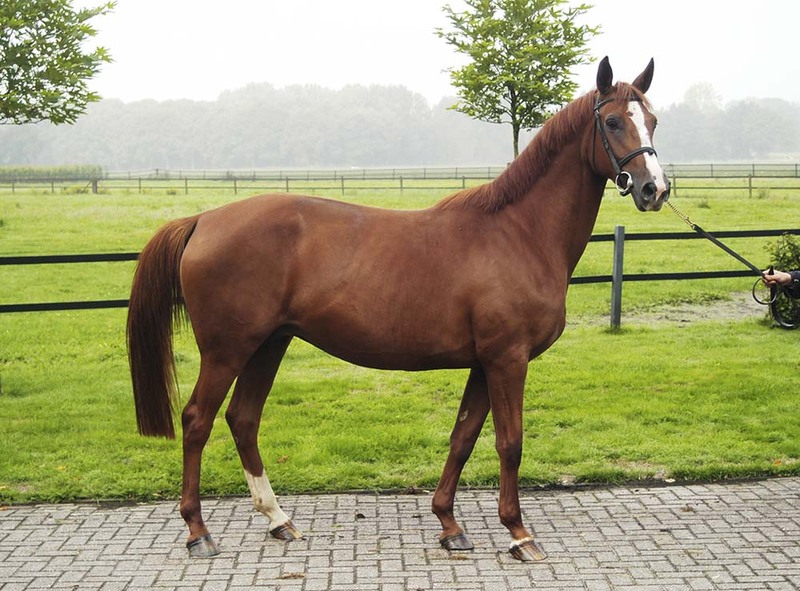 Dam Zenja Adelheid is a daughter of the successful sport and breeding stallion Zandor Z out of his own dam’s line. Grandam Ascona Adelheid also produced the international showjumping horse Ramona Adelheid Z (Robin II Z) ridden by Blandine Roux. Great-grandam Pink Floyd is full sister of the famous GP showjumping horses Sonora la Silla (Jan Tops), Padua (Ralf Schneider) and Poor Boy (Beat Mändli).